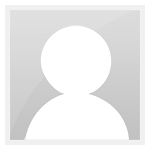 Rising Cubers » Public Forum » Public chat » Ratio whoring contest! It's just that, bots all spawn at same time, when they're not by the right side, it means they are all gathered by the left, so i go left and kill them all. BY THE WAY, how come in a 15mins game, my bots (at least the bests of them) get around 30 kills, when YOURS got a maximum of 17 kills ??? 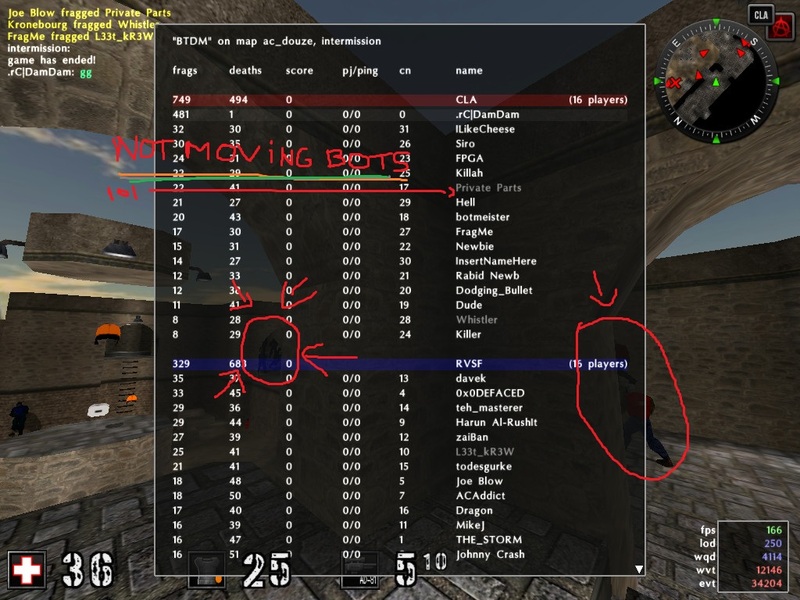 Marti started BTDM ac_douze, he used the /idlebots 1 command, and around mid-game, he turned it off and let the bots move. Hence why he got that much kills (easy one), and why the bots didn't kill each other a lot (only half of the game to frag). Martiiiiii you can't beat me to the bots ratio whoring, i'm da BOSS ! umad i knew what u were doing no? let me explain: my bots probably were on an other difficulty level. and clps already beaten u with more than 500 kills so..
i began to ratiowhore in pubs today, as i was totally bored since NOBODY EVER COMES TO TEAMSPEAK ANYMORE </3. it's surprising how boring and retarded the game becomes after a while, nevertheless here were my attempts. Good god just go into prostitution already. It's a profitable business I hear :3. 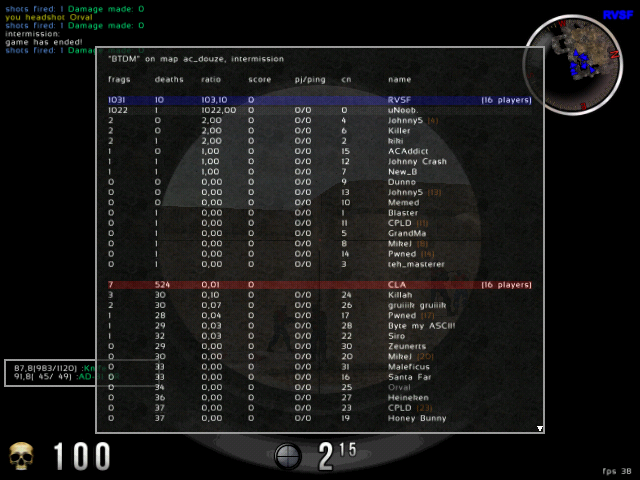 On my first game of sauer in three months, I got an 8.66 ratio on ictf authentic. 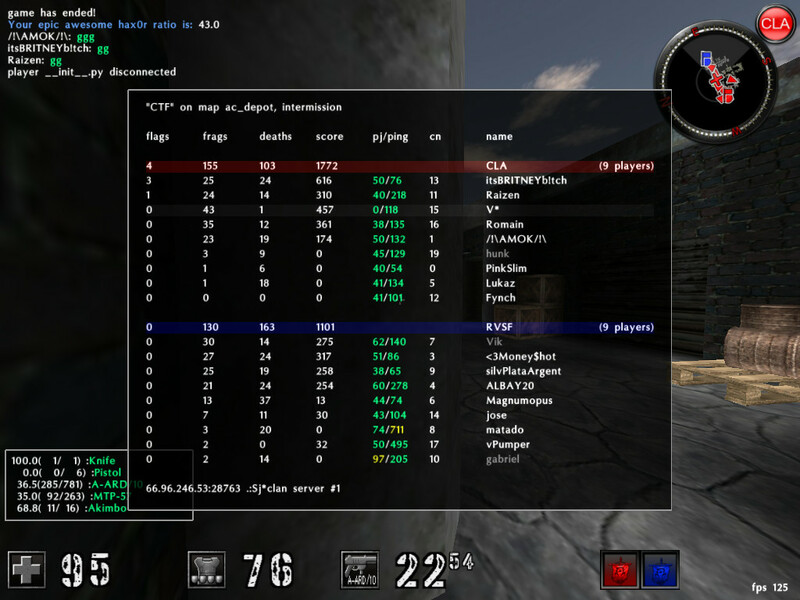 It looks like your opponents were probably harder though, I only had retardzzz. 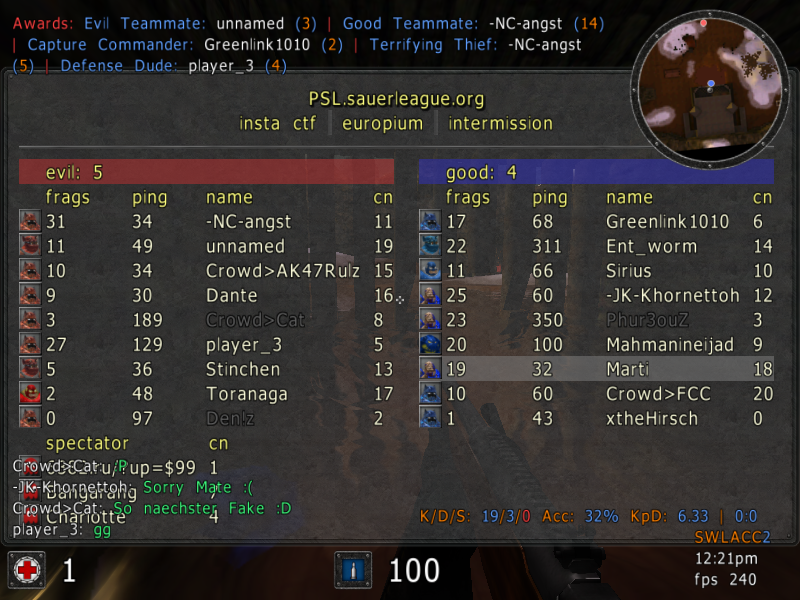 (Sauer World League Anti-cheat client). Us + Xenon participated in the latest one so we have the client for it.